There are times when I doubt if I live in 21st century. Despite advances in science, technology and medicine, irrational notions hold remarkable sway over us. Shark fin, rhino horn, vulture brain, leopard paws – so goes the list of items which we still believe to have miraculous, medicinal or aphrodisiacal powers. Even though scientific research has busted these claims, large number of people still rely on them. Recently I visited Georgia Aquarium in Atlanta. They had a fabulous section on sharks. A huge collection of shark teeth and jaws were on display (the shark’s body is made of cartilaginous skeleton). In one gallery the frozen exhibit showed a Mako shark attacking a Blue Fin Tuna. Several sections were devoted to facts about shark attacks. Contrary to popular belief, the number of unprovoked shark attacks on humans are few. The general behaviour of all species of shark bore no resemblance to the bloodthirsty, vengeful ones portrayed in ‘Jaws‘. After the visit, I developed a new found respect for this apex predator whose beauty, power and elegance was simply astounding. Sadly, sharks are being decimated worldwide. Destruction of habitat and irresponsible fishing apart, the most significant contributor to killing of sharks is the demand for shark fin. Sharks are caught, their dorsal and pectoral fins cut off and left to drown and bleed to death, just so that a chosen few can drink expensive shark-fin soup, basking in the glory of conspicuous consumption. With the rising affluence in China, demand for this aphrodisiacal ambrosia has gone up thereby endangering the survival of many shark species. The fact that shark fin is just tough, rubbery, tasteless cartilage is masked by the mesmerizing power of superstition. Another case in point is Rhinoceros horn. Rhinos are hunted in Africa, India and southeast Asia for their horn which is simply a hard clump of keratin. The astronomical price of Rhino horn in international market has lead to heavy poaching in recent years. In several countries such as China and Vietnam, the horns are used in traditional medicine for curing fever. The medicinal effects of Rhino horn are far from proven, but the power of superstition continue to kill Rhinos nonetheless, driving them to extinction. 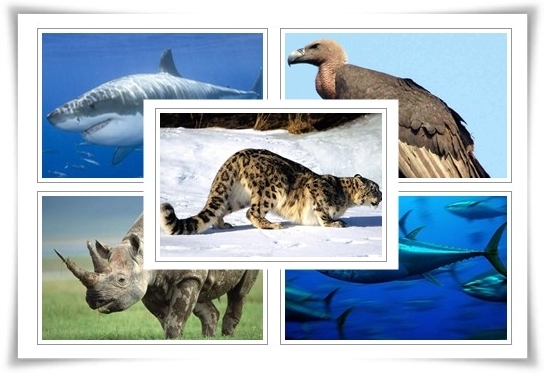 While Shark fin and Rhino horn are the most conspicuous instances, examples of the threat posed by superstitious beliefs to flora and fauna abound. In South Africa, Muti medicine practitioners kill vultures to extract their brains. They hope that consumption of vulture brains would enhance their clairvoyant powers. Snow leopards, a critically endangered species, are killed for their hide and bones which find use in traditional medicine. The cruelty and utter meaninglessness of the destruction wrought by these blind beliefs are appalling. However, stemming from ignorance and rooted in tradition, such superstitions are difficult to eradicate. One can only hope that someday reason would triumph over ignorant faith. You must be wondering about the relation between potatoes and laptops. Are there laptops made of potato peels? Can laptops be made of recycled potatoes? Have scientists invented machines which transmute potatoes into laptops? Have potatoes gained computational capabilities? Or have we discovered intelligent laptop wielding potatoes in the outer reaches of space. These could be some of the sophisticated questions cropping up in your fertile imagination. The answer to all of them is a resounding NO!!! Not yet, at least. What I had in mind was the ballooning food inflation in India. It has hit 15.5% today, pushed up by potato prices which soared this year, reaching up to Rs.30.00 during the Navaratri season. Prices of grains and pulses, fruits and vegetables have also seen an upward trend. One of the reasons for high food prices seems to be lack of rains. This was a drought year for the country and understandably it severely affected the crop yield. However, the more compelling reason for high food inflation and for high potato prices in turn, is the continued lack of investment in agricultural sector and the conversion of agricultural land for residential and industrial purposes. Combined with an uncooperative weather, this has lead to skyrocketing food prices. The Gandhian vision of grassroots level development was lost as soon as India stepped into the industrial development. But I believe it is time we rediscovered his ideology. With a nation of more than 1.2 billion people and still growing, we cannot continue to neglect the farming sector which performs the most critical function of feeding the nation. All talk of India becoming a superpower will be rubbished if half of the nation goes hungry. Although substantial sums are allocated in the national budget for development of the farm sector, most of it is siphoned off by politicians and vested interests. Some of them have built monuments and statues to fulfill their megalomaniac ambitions, pulling the wool over the poor farmers. The policy and frame work for development of agricultural sector may already be in place, but as usual due to inadequate enforcement, they cannot bear fruit. There is an urgent need to focus our attention and invest time and resources to nurse this vital sector back to health. Contrary to food prices, laptop prices have fallen steadily. A decent laptop is now available for as much as Rs.16000.00. These laptops until a year back used to sell for almost double this price. The prime reason for reduction in prices is the continuous improvement of technology which has multiplied the computing capabilities manifold while slashing the component prices each year. Such focus of energy and intense research is of course driven by market interests. Perhaps private farming initiatives could achieve similar excellence in agricultural production if the necessary regulations to dissuade them from overexploitation of labour and resources are put in place. Maybe the solution is to form agricultural cooperatives. I am not sure of the correct route to follow. But one thing is certain, if the inflationary trend continues, it would be difficult for many of us to make both ends meet. Most importantly, it would severely affect the nutrition of children and the poor, not to mention the seeds of anarchy it would sow in the society. For each of us it is a wake up call not to be taken lightly. This could presage the course of things to come unless we choose to be dead serious about it. After all, we cannot eat laptops, no matter how cheap they become. During the recent World Summit on Food Security held in Rome, political leaders across the globe pledged to alleviate hunger and assist developing nations in achieving self-sufficiency in food production. However, when it came to $44 billion a year hard cash agricultural aid to achieve this solemn goal, the spirit of solidarity vanished. The summit remained high on rhetoric and non-committal in action. Reminded me of a “Walk to end Hunger” I attended in Gurgaon. Participants were provided T-shirts and ample refreshments, TV crew and an ambulance followed the 3.5 Km jaunt by the well-to-do. Poor, hungry women and children who lived in shanties on a stretch along the way approached us begging for the bananas and soft drinks we clutched. They were mercilessly shooed away. That immediately put an end to my delusion and dalliance with corporate sponsored charity. The world summit was attended by Pope Benedict who remarked on the tragedy of hunger and decried the “opulence and waste”. UN Secretary General Ban-Ki-Moon reminded of the 1 billion people who go hungry and later observed a 24 hour fast to express his sympathy to the cause espoused by the summit. Food and Agriculture Organization (FAO) also launched an online campaign asking people to go on a “hunger strike against hunger”. According to FAO farming is the means of subsistence for more than 70% of the world’s poor. FAO also identified under-investment and neglect of agricultural sector as the prime reasons for food insecurity. The spate of farmer suicides India witnessed in recent times is ample proof of this fact. The deluge of good intentions and noble speeches notwithstanding, what does reality checks reveal? Many countries while publicly vouchsafing food security and eradication of hunger are clandestinely engaged in facilitating global land grab by investments funds, large corporations and agribusinesses. The intention of the hedge funds and financial institutions buying farm land is far from philanthropic. According to their estimates, climate change and an oil crisis would drastically curtail food production and escalate food prices. Farm land, a rapidly diminishing resource, is also expected to considerably appreciate in value. The twin factors would ensure maximum returns and provide and excellent investment opportunity given the current dismal economic climate. Such blatantly commercial interests are unlikely to exhibit concern for environment or development of the local farming communities. In all likelihood, the intense farming methods employed to maximize production and generate revenue would deplete water resources and sap the soil of nutrients rendering the land useless for further cultivation. In India, where a large population depends on agriculture for livelihood, the consequences of unscrupulous land grabs could be disastrous. Already the supermarket, fast food and agribusiness conglomerates have marginalized the small farmer, wiped out traditional farming methods and extirpated local knowledge paving way for environmental degradation and food scarcity. Farmers are forced to migrate to cities where they eke out a living working on menial jobs or begging on the streets. Despite their dubious credentials, countries by and large are overtly committed to eradicating hunger and poverty. However, politicians and bureaucrats are easy prey to corporations wielding enormous economic and political clout. Governments, hard pressed for money to invest in agricultural reforms can be easily persuaded by lobbyists promising prosperity and rural development to dilute regulations and hand over farm land. Only an alert media and educated public can prevent such a scenario. Gandhiji once said, “There’s enough for everyone’s need, but not enough for everyone’s greed”. The rapaciousness displayed by unprincipled businesses in sub prime lending and other financial concoctions have already resulted in an economic meltdown. Its brand new avatar to profit from helplessness of mankind is likely to be rewarded the same way. We can only hope they would realize their folly and amend ways. 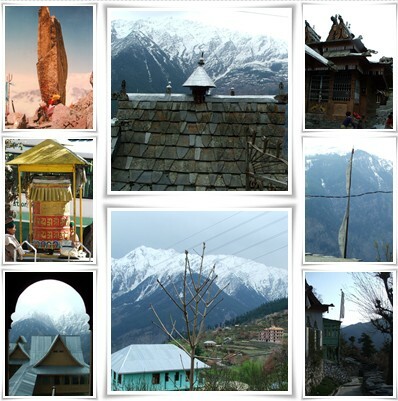 Some time back I went to Manali, a picture postcard tourist town beside the river Beas. There I came upon a museum dedicated to Svetoslav Roerich and his wife, the indian actress Devika Rani. The museum is housed in their erstwhile home. The ground floor showcases replicas of various canvases by Nicolai and Svetoslav Roerich. All doors in the upper storey of the house are closed; but by pressing my face against the windows, I could make out the library, the bedroom and the study. It is strange, but this kind of voyeurism is simultaneously fascinating and repulsive. I felt like an intruder. As I tried to imagine how life would have been for the Roerich’s, sitting in the study or veranda and looking over Nagar valley, I felt a poignant lump in my throat. A kind of philosophical sadness on the ephemerality of all things beautiful. Thoughts floated up. What if they came to life as I looked on and went through their life as usual, oblivious of my presence. What if I entered into a ghostly time warp and became their guest for a while, what would they tell me, what would that be like. When one visits such places which were once alive with people, but are now preserved in the polished unchanging eternity of a museum, can one return without being touched by melancholy. Am I being sentimental? Que sera sera..